LickIT Flavors — Canyon THC : Thc Sweet Life. This is no regular lollipop. This is no regular lollipop. Not by a long shot. This is the perfect combination of adult fun and great tasting flavors. 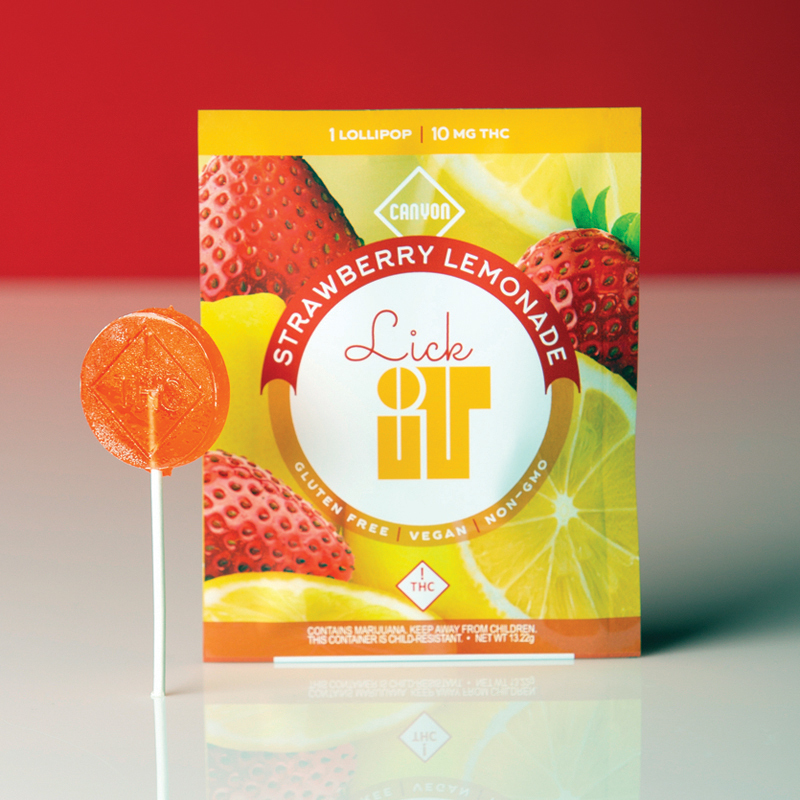 Each pop is carefully crafted with 10mg of the finest THC. We then delve into a dizzying variety of unique flavors - bursting with sour, sweet and Mmm Mmm. What’s more, our flavors are so delicious that you’ll barely taste the medicine side. Each is fast-acting, potent and sold in a child-proof and resealable package.